Caring for a person with Alzheimer’s disease at home is a difficult task and can be overwhelming at times. Each day brings new challenges as the caregiver copes with changing levels of ability and new patterns of behavior. Research has shown that caregivers themselves often are at increased risk for illness and depression, especially if they do not receive adequate support from family, friends, and the community. One of the biggest struggles caregivers face is dealing with the difficult behaviors of the person they are caring for. 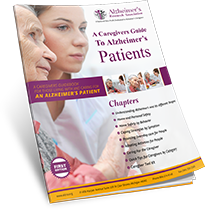 Dressing, bathing, eating, and basic activities of daily living often become difficult to manage for both the person with Alzheimer’s and the caregiver. Having a plan for getting through the day can help caregivers cope. Many caregivers have found it helpful to use strategies for dealing with difficult behaviors and stressful situations. Through trial and error you will find that some of the following tips work, while others do not. Each person with Alzheimer’s is unique and will respond differently, and each person changes over the course of the disease. Do the best you can, and remind yourself to take breaks. Ask. Ask the doctor any questions you have about Alzheimer’s disease. Find out what treatments might work best to alleviate symptoms or address behavior problems. Contact. Contact organizations such as the Alzheimer’s Association and the Alzheimer’s Disease Education and Referral (ADEAR) Center for more information about the disease, treatment options, and caregiving resources. Some community groups may offer classes to teach caregiving, problem-solving, and management skills. Find. Find a support group where you can share your feelings and concerns. Members of support groups will share insight, helpful ideas, and know of useful resources based on their own experience. Online support groups make it possible for caregivers to receive support without having to leave home. The Alzheimer’s Association and other organizations sponsor support groups. Organize. Study your day to see if you can develop a routine that makes things go more smoothly. If there are times of day when the person with Alzheimer’s is less confused or more cooperative, plan your routine to make the most of those moments. Keep in mind that the way the person functions may change from day to day, so try to be flexible and adapt your routine as needed. Take a break. 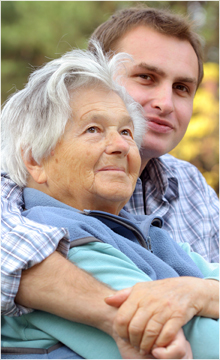 Consider using adult day care or respite services to ease the day-to-day demands of caregiving. These services allow you to take a break, while knowing that the person with Alzheimer’s is being well cared for. Plan. Begin to plan for the future. This may include getting financial and legal documents in order, investigating long-term care options, and determining what services are covered by health insurance and Medicare.